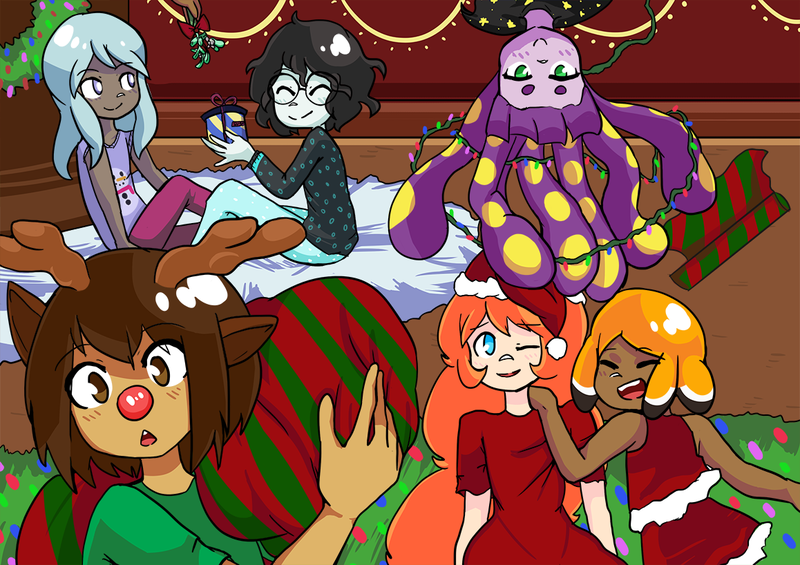 christmas-2017 – Seasick – The Underwater Adventure Comic. Updates Fridays! Hey all! Merry Christmas! 😀 I am glad to be back~ I was illustrating a project for a while with a charity (I’ll let you guys know about it when it goes public, I’m really pleased with it!) I was really busy with that for a while. Then I had a nasty flu for a while. I’m ok now though! Had a great day so far! Anyway, now I have been working on a backlog of Seasick comics so I can bring the weekly schedule back in 2018! Keep an eye out for it! I hope you guys have a great day and thanks for your support!